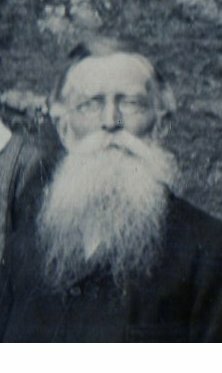 Henry Monk was born in 1833 in Harrow Weald, Middlesex, the son of James Monk and his wife Mary. Henry was baptised at Kings Langley, Hertfordshire, on 7 July 1833. In the 1851 census 18-year-old Henry was a student at St Andrews College, Harrow. In May 1859 Henry was elected to the post of Master of the Yeovil Charity School, as noted below in the extract from the Western Flying Post's edition of 17 May 1859. This marked his move to Yeovil. On 9 January 1860, at the age of 27, Henry married Elizabeth Henrietta Hawkins (b1834) at Harrow All Saints Church, Harrow Weald. They were to have nine children; Henry George Hawkins (1863-1928), Edith Mary (1864-1911), Laura Maude (1866-1956), Frank Edward (1867-1891), Margaret Elizabeth (b1869), Arthur Scott (1871-1917), James Hector (1871-1953), Charles Hugh (1875-1949) and William Archibald (1880-1958). In the 1861 census Henry and Elizabeth were living on the Sherborne Road together with Henry's sister Sarah and a domestic servant. Henry gave his occupation as 'Grammar Schoolmaster' while Elizabeth listed her occupation as 'Superannuated from the War Department'. In 1865, the first attempt at a Somerset county cricket side was made with the formation of Yeovil and County Cricket Club. The side, including headmaster of the Grammar School Henry Monk, performed poorly in their opening matches against other local club sides and, on one notable occasion, even lost three players to their opposition the day before the match was scheduled to begin. It would appear that during the 1860s Henry and Elizabeth moved to Hendford Hill where Henry opened his own school. In the 1871 census Henry and Elizabeth, together with their eldest children Henry, Edith, Frank, Margaret and Arthur were listed at Hendford Hill together with 18 boarding pupils, a Cook and a nursemaid. Henry simply gave his occupation as Schoolmaster. 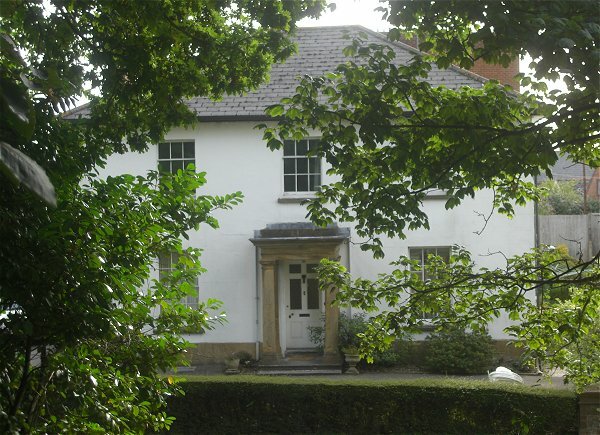 During the 1870s Henry and his family moved yet again, this time to 8 Hendford, today known as Flowers House, which was to become famous towards the end of the nineteenth century as Mr Monks Grammar School. In the 1881 census Henry, Elizabeth and seven of their children, together with ten pupil boarders, a housemaid and a nursemaid were listed at the property. The situation was similar in 1891 except that Henry's daughter Laura was listed as a Teacher and his son James as a School Assistant. Their house was listed in the census as a Grammar School but at this time there were only three boarding students and one domestic servant. In 1888 Henry was a founder member of the Yeovil Musical Union and was its first Honorary Secretary. According to Leslie Brooke the students seemed to have been well treated with four meals a day (meat twice) and separate beds. There was a playground (25 yards by 27), gymnasium and even a sports field for cricket and football. 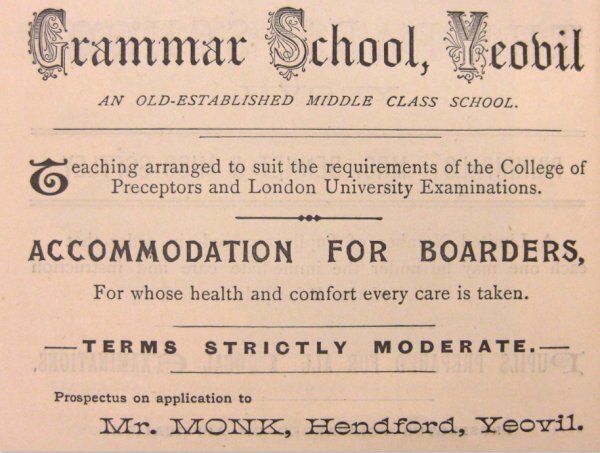 Monk provided a good schooling at an annual cost of about £30 including board (around £24,000 at today's value)..
Henry moved from Hendford to the Chantry in Church Path in 1897 (presumably due to the sharp drop in the number of pupils attending) and the Grammar School in Hendford was put up for sale. Unfortunately there was little interest and the property was withdrawn at £1,650. The property was put up to be sold by auction again in July 1897 and the sale details give a good indication of the property as follows ".... Consisting of a spacious Dwellinghouse, with a good sized Greenhouse, Schoolroom, with Playground beneath, Lavatory and Workshop, and other Outbuildings, with a large Yard, well laid out in Lawn, and walled-in Garden. The Dwellinghouse has a frontage to Hendford of about 65 feet, and the premises are about 170 feet in depth, including a side entrance; having on the ground floor Entrance Hall, Staircase, Drawing Room, Dining Room, and general Sitting Room, Kitchen and Scullery, with a good Cellar underneath; on the first floor three front Bedrooms, large back Bedroom, Servant's Room, Box-room, Landing, and WC; and on the second floor Landing, four Bedrooms in front and one at back. The Schoolroom and Playground underneath are readily convertible at a nominal cost into a commodious coach-house with lofts or storerooms over, the lavatory and workshop into a two stalled stable, and the outbuildings into a detached Cottage and Offices. The whole property is in substantial repair and condition, and is highly suitable for a professional gentleman or a family residence." By the time of the 1901 Census Henry had moved his family to Ashgrove, Mudford Road. 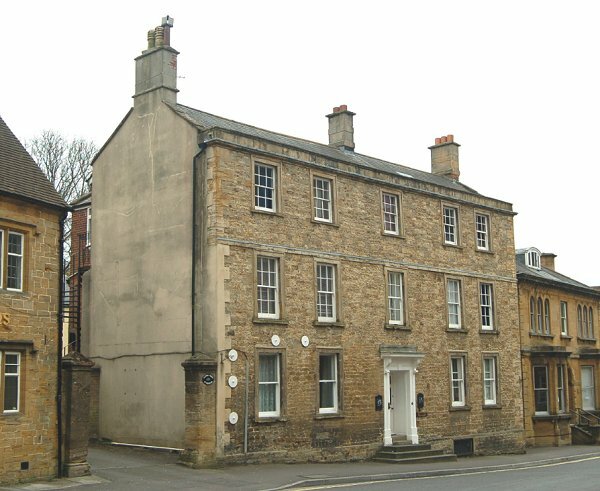 He was listed there as a 68-year-old schoolmaster with 67-year-old Elizabeth and three of their children; Henry was listed as a Surgeon, Edith was a Schoolmistress and Arthur was a Bank Cashier. There was also one general domestic servant. "The earliest recollections of my schooldays was taking lessons in reading from Mrs Monk, the wife of Henry Monk. At that time the Yeovil Grammar School, of which Henry Monk was headmaster, was in a fairly prosperous condition. There was certainly not less than fifty or sixty boys in attendance. The rival school - Aldridge's, where my father was educated - was then on the downgrade, to be resurrected with the coming of a new master named Budd with more modern ideas. Like so many schools under the English system of private education, these schools last but the lifetime of the proprietor, and by the time I left school, the old school had dropped to but a dozen pupils, the old building in Hendford had been closed and the school was housed in an old building behind St John's church. I did not recall how old I was when I first went to Monk's school, but I remember the gravelled yard, because it was hard on the knées if one should fall in playing the usual games. Then there was the open space under the school building where we played when the weather was wet, at the end of which was the 'Bog', an awful six-holer, which stank to high heaven. The school was held in one large room, heated by a wood stove on which pans of water were evaporating. Old Monk nearly always had a drop on the end of his nose, and I imagine we all did too, though we boys probably used impolite methods of removing them. Mr Monk's daughter and his son-in-law were the staff, and I think we all got a fair education they are, though the curriculum did not contain so many subjects as are taught in primary schools today. We took French and Latin, and I can still recall snatches of Caesar and Remus and Romulus. Mr Monk was a grand character, beloved by all his pupils - at least in later life - and I have always had a pang of regret that I once hit him in the face with an over-ripe tomato that was intended for one of my fellow pupils. In those days the cane was an important part of the equipment of a schoolmaster, and old Monk used it with vigour. I got it once or twice, and I think that it is a pity that its use has disappeared. It instilled respect into the boys for their elders and betters, which is non-existent today." By 1911 Henry had retired and was living in Ryme Intrinsica, Yetminster, Dorset, with Elizabeth and their two daughters Edith and Laura. Edith was still a Schoolmistress and Laura gave her occupation as a Professional Nurse. Elizabeth died in the autumn of 1911, aged 78. Henry then moved to Stratton on the Fosse where he died on 11 January 1921. His will was probated in the March and his effects valued at £1800. On 21 January 1921 the Western Gazette ran the following obituary "On Tuesday in last week died at Stratton on the Fosse, near Bath, Mr Henry Monk, aged 88, a man highly honoured by his old pupils at the Yeovil Grammar School, which he carried on for many years.... Mr Monk was an earnest Churchman, and many years ago sang regularly in the choir at St John's Church, Yeovil. He took a great interest in geology. Many of the fossils he collected are in the Sedgwick Museum at Cambridge, and some are in the possession of the Yeovil County School. As a cricketer he was in great request, and some still remain who remember how wickets fell before his effective bowling in the good old days of Yeovil cricket. The esteem and affection of his former pupils was very warm towards him, and at an old boys dinner at the Choughs Hotel about 20 years ago 75 of them entertained Mr Monk and made a presentation to him in grateful remembrance of his sound teaching, wise guidance, and thoughtful kindness.... The late Mr Monk is survived by six children - George (who is a doctor in New Zealand), Miss Laura Monk and Mrs Le Sueur (who are at Stratton), James and Charles (who have achieved an honourable position in the far west of the Canadian Dominion), and Engineer Commander WIA Monk, R.N. (who during the war served successively on the destroyers Acastra and Ready, and on the scout ship Skirmish)." Henry Monk's appointment as Master at the Yeovil Charity School announced in the Western Flying Post's edition of 17 May 1859. A typical advertisement by Henry Monk announcing the start of a new term. This particular notice is from the Western gazette's edition of 8 January 1886. A photograph of Monk's school dated 1909. Henry Monk is seated at right and his daughter Edith at left. 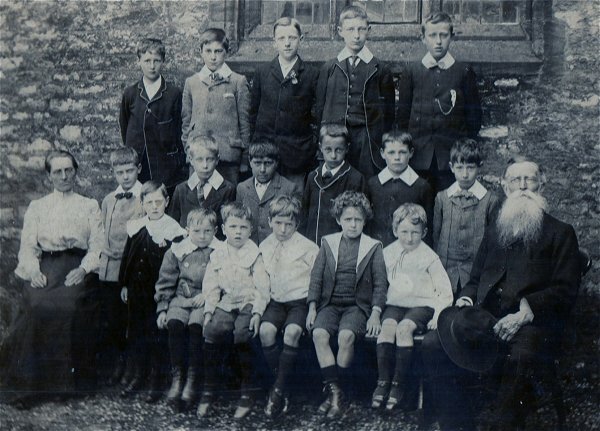 The only known pupil is Percy Wyndham Atkins (1899-1983) seated in the bottom row, third from left. Flower's House, Hendford - Henry's Grammar School for many years. Photographed 2013. Henry Monk's advertisement for his Grammar School placed in the 1895 edition of Whitby's Yeovil Almanack Advertiser. Ashgrove, Henry Monk's residence in the 1900s, glimpsed through the trees of Yeovil College campus. Photographed in 2013.